Disclaimer: Some links on this page are affiliate links and I'll receive a small commission if you buy something. I hope you feel my site has provided value to you. I personally use everything I recommend. 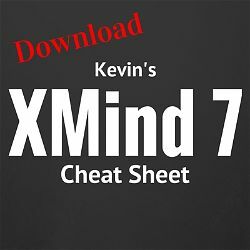 The Pro version comes with everything XMind has to offer. It's packed with features including search and the Gantt chart. This is the latest version, for less money ($90.30) and you'll get bonuses by using my coupon code. 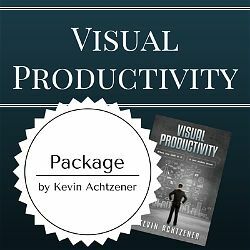 I thought it would be helpful to you if I created a page with resources that I've used to boost my productivity and achievement. As I come across new products, I'll update the list. xMind: My favourite mind mapping software right now. I'll be doing a tutorial on this soon, but this free software is easy to use, has great functionality, and looks completely professional. The free version is awesome, but the pro version puts this software on steroids. It lets you prioritize your tasks and displays your workflow in a Gantt chart for total power over your projects. The only thing I wish it had was a smart phone app. 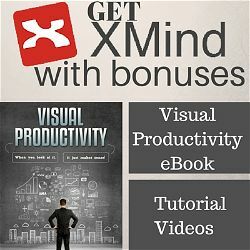 If you decide to buy XMind using my code (AchtzenerCXM), I'll throw in 3 pretty sweet bonuses. Check out the offer page for more details. yWriter: One of the best FREE resource on the web. Designed to be novel writing software, but it's perfect for organizing all of your personal and professional information. Here's a screencast I did on how to use it. If you like using yWriter, I'd suggest making a donation to the programmer or buy one of his books.